Let’s begin by developing our “common sense” of thermal science. Let’s remember the general principle of heating . 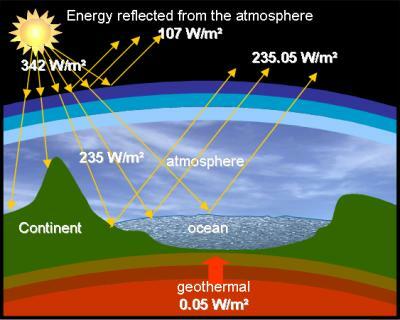 As such, the temperature of the Earth remains constant as long as it emits as much heat as it receives from outside (from the sun) or from inside (from the center of the Earth or from human activity).